even though it didn't look or feel like the first day of spring yesterday (because of the cold temperatures and the remnants of that stupid blizzard we got last week), yesterday was in fact the first day of spring . . . yippee! it's so nice to think that this gross winter weather is finally coming to an end (hopefully) soon. to celebrate the first day of spring, rita's gave away free italian ice. 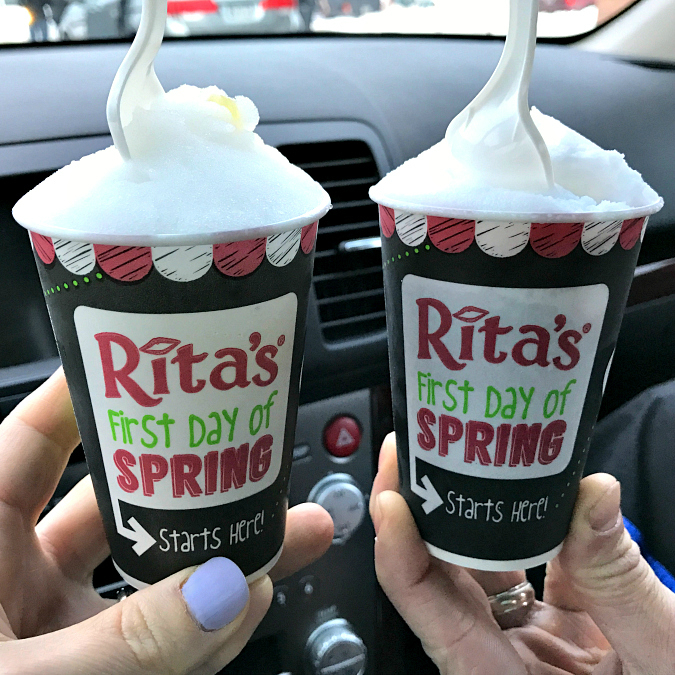 in keeping up with tradition, ryan and i headed over to rita's yesterday evening after dinner to welcome spring with free dessert! it was a nice little monday night date after not seeing him very much this weekend. You are starting off the Spring the right way with a "free" Italian ice.